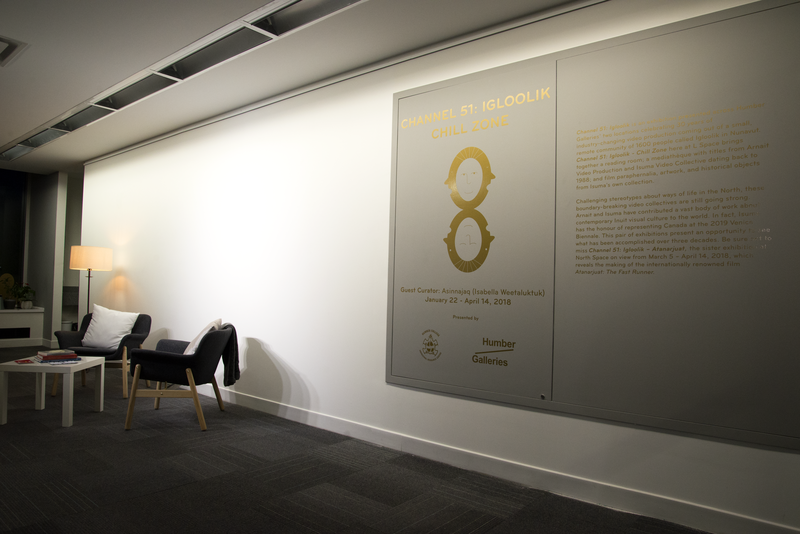 Channel 51: Igloolik is an exhibition presented across Humber Galleries’ two locations celebrating 30 years of industry-changing video production coming out of Igloolik, a remote community of 1600 people in Nunavut. Opening January 22, 2018 at L Space, Channel 51: Igloolik – Chill Zone brings together a reading room and mediathèque with titles from Arnait Video Production and Isuma Video Collective dating back to 1988; and film paraphernalia, artwork, and historical objects from Isuma’s own collection. 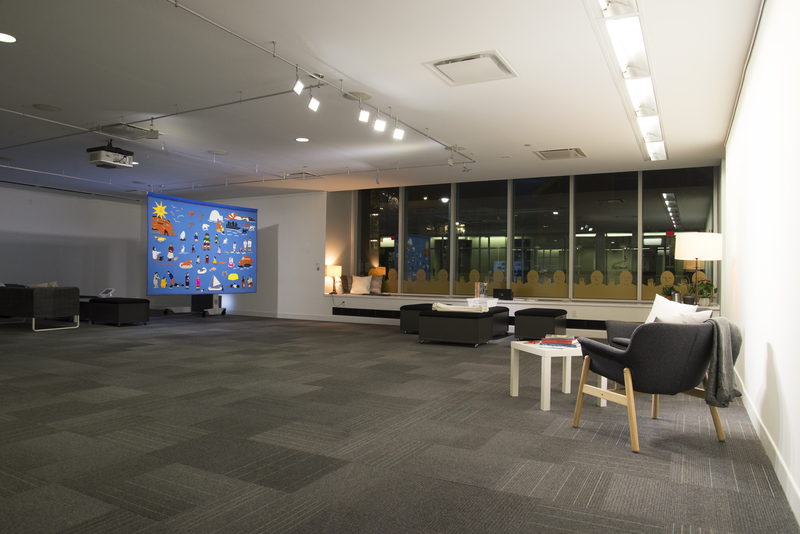 L Space is outfitted as a cozy space with a screen, couches, and tables where all are invited to take in a film or peruse the literature. Challenging stereotypes about ways of life in the North, these boundary-breaking video collectives are still going strong. 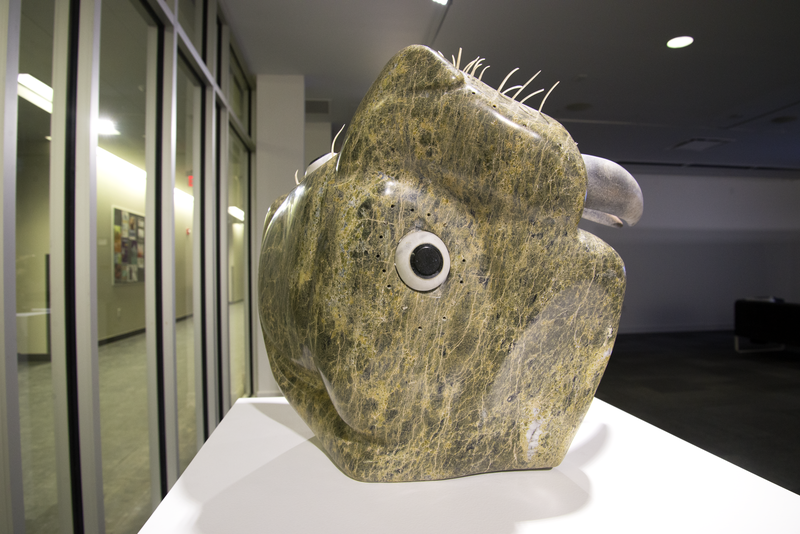 Arnait and Isuma have shared a vast body of work about contemporary Inuit visual culture with the world. In fact, Isuma will bring their co-created self-determined contributions to the international stage by representing Canada at the 2019 Venice Biennale. This pair of exhibitions presents an opportunity to see what has been accomplished over three decades. Be sure not to miss Channel 51: Igloolik – Atanarjuat, the sister exhibition at North Space on view from March 5 – April 12, 2018, which reveals the making of the internationally renowned film Atanarjuat: The Fast Runner. Asinnajaq, known also as Isabella Weetaluktuk, is an Inuk visual artist, writer, and curator. She if from Inukjuak, Nunavik and grew up in Montreal. 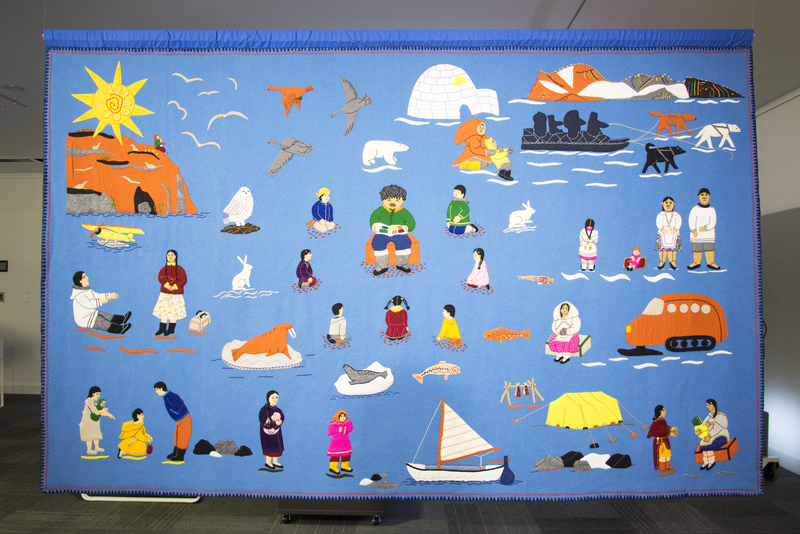 Asinnajaq’s first job was travelling the Inuit Nunangat. During this time she was lucky to take in the immense beauty of places like the Torngat Mountains, Diana Island and the fjords of Baffin Island. This was also an opportunity to see many animals, old food caches, and the site of a Thule whale bone dwelling near Resolute Bay. While looking for her next move Asinnajaq made a storyboard for her father, Jobie Weetaluktuk’s, next film. This small task turned into the Assistant Director position, and the chance to film in Inukjuak, the place where many of Isabella’s aunts, uncles and cousins live. Inspired, Asinnajaq jumped into film school and complete her first film with the National Film Board, titled Three Thousand. 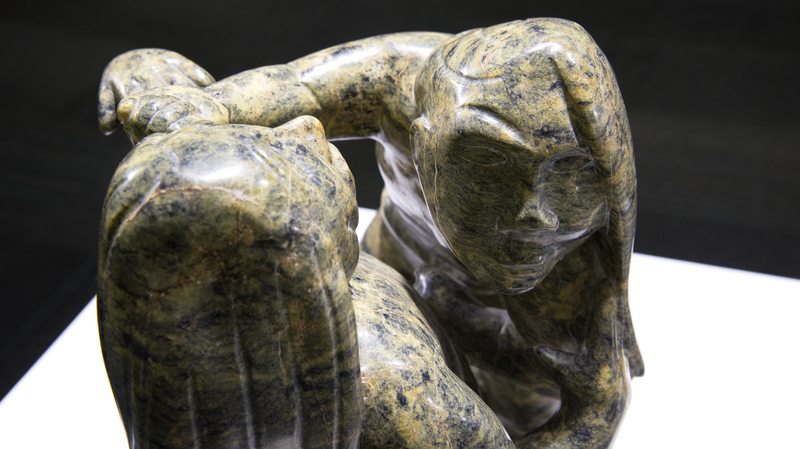 Asinnajaq moves to honour the past and create a foundation for the future. L Space will be closed Monday, February 19th, Friday, March 30th, and Monday, April 2nd. 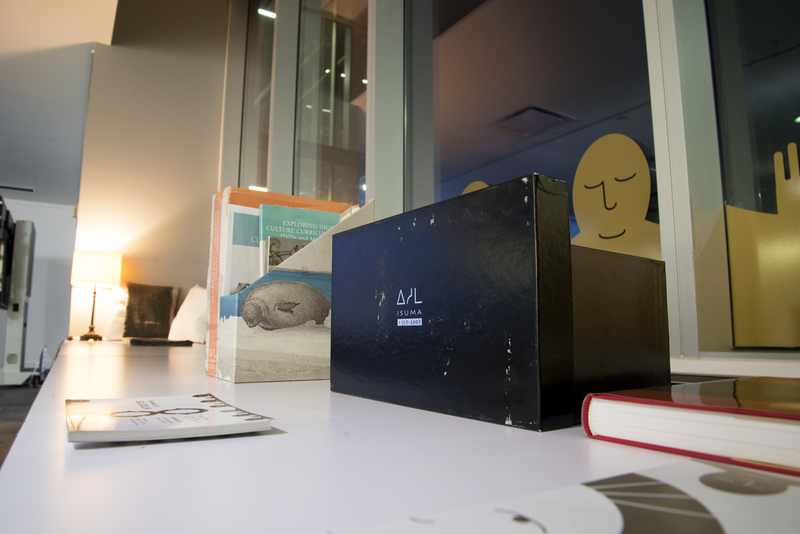 L Space will be open Saturday, April 14th from 10AM - 2PM as part of Humber's Spring Open House. Click here to view the Educational Lib Guide for this exhibition.